Hostetler clay bird installation with graphite and gouache drawings. Dalya Luttwak steel sculpture in foreground. 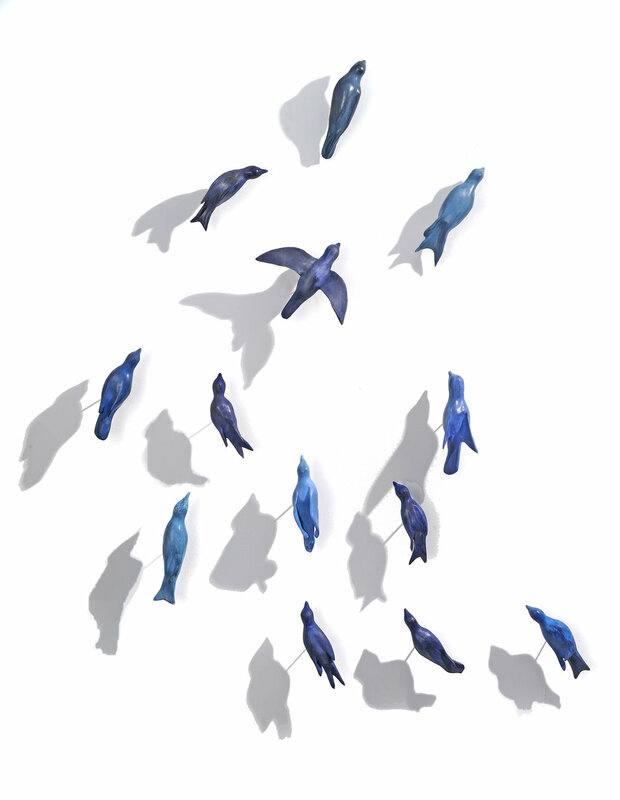 Installation of Birds in Flock with graphite drawings. Exhibition organized by Washington Sculptor's Group and juried by MPA Exhibitions Director Nancy Sausser.